Home » housekeeping » The Gallery, About US and a million old links . . . The Gallery, About US and a million old links . . .
Posted by Sophie on February 4, 2012 in housekeeping | Comments Off on The Gallery, About US and a million old links . . .
It’s because nearly all of our images are hosted on blogger AND there’s no “Thumbnail” custom field defined for the related blog post (imported from the old blog). I edited the blog posts associated with the 12 images on the first page of the Gallery and added the names of the quilter, downloaded, edited and uploaded cropped images in the 1: 2.5 proportion needed to display in the “slider” on Home and added them as the custom field “Thumbnail.” So, on the first page of the Gallery, you now can get an idea of what it will look like. FYI, the quality of those images on the Home page is dependent on the size of the image that was on the blog post. Remember the ideal size for images for the home page is: 960 pixels wide x 368 pixels tall. Also, if your image was hosted on Flickr (or another site), generally, I will NOT have the right to download it (hence the black box in the top row. If you have a quilt in the gallery–which means you posted a quilt made from or inspired by lotto blocks–and would like to send a higher resolution photo to be used in the gallery, find your related blog post and send me the link along with a new photo to use. 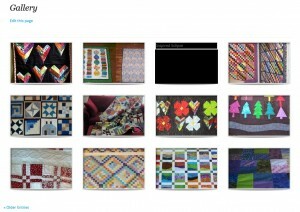 If your post already has a higher resolution photo, just send me the link (because authors were lost on the import and if your name wasn’t part of the blog post, I have to go find it on the old blog to see whose quilt it is). You can also create your own crop of the image to fit the proportion 1 high by 2.5 wide and at least 960 pixels wide. If clicking on black boxes to find your post doesn’t appeal, you can also use this link to see all the Show & Tell posts. If you posted a photo of your quilt or project and it isn’t in the Show & Tell posts, find it (probably using the search box), send me the link (and photo) and I’ll add it. I have updated our Illustrated History and the 2011 Lotto Block Index and pulled all the lotto blocks index posts together on Blocks We’ve Made. These contain a lot of links which currently still point to the old blog which will, over time, be updated to point to the imported content here. 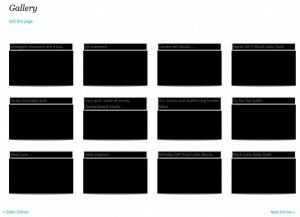 I also put together a page of Block Lotto Basics, which describes how to join and the general guidelines that apply every month. You can navigate to all these links from About Us in the top navigation and the About Us excerpt on the Home Page. In addition to populating the slider with cropped images and updating About Us, I also changed the Recent Blog Posts section to include all the blog posts, so if you want to quickly check for the latest blog posts, the last five posts will be displayed on home. Remove duplicate posts – the importer wasn’t supposed to import duplicates, but we have them. Feel free to contact me (or leave a comment here) with your suggestions or notes about what’s broken–except the old links and duplicate posts: there are so many of both of those; I know about them; and it’s just going to take time.